It’s Bonfire Night and for the last few days fireworks have been going off all over the country. I was sent this book about a year ago, by Alex, who used to do the digital marketing at Pen & Sword, and since I’m away visiting friends this weekend, friends who are currently playing Skyrim and Fallout, I thought I’d bring this book with me, to pass the time. It seemed appropriate. Besides, at some point soon I’ll be getting another book from Pen & Sword called The Gunpowder Plot Deceit that posits a hypothesis – that the plot was instigated by agent provocateurs – that Holland specifically refutes. Everyone in Britain has heard of Guy Fawkes, but don’t really know anything about him. It’s assumed he’s either the ringleader or was a minor part in the plot. Holland makes the case that he was Robert Catesby’s third in command, a trusted soldier, long-time friend of several other conspirators – especially the Wright brothers with whom he went to school as a boy in York – and a militantly committed Catholic convert. Born in 1570 the second, but first surviving, child and only son, to a prominent Protestant lawyer and his wife, in York, he lost his father as a child. Unusually his mother waited a decade to remarry and when she did it was to another well-connected man, a ‘church Catholic’. Under the influence of his school master, and then his step-father, Guy became a convinced Catholic, witnessing the harsh punishments meted out in the later years of Queen Elizabeth I’s reign. In the early 1590s, Guy left England to join the English Regiment of Catholics fighting for the Spanish crown in the Low Countries. Here he gained experience and the trust of important Catholic leaders in exile, even being sent to Valladolid to negotiate with King Philip III in 1601 for support for an English Catholic uprising. When Robert Catesby needed a man with experience in mining and explosives, a known and trusted soldier, and deeply committed Catholic, Guy Fawkes was the man for the job. While not in on it from the start, once he’d been given the details in 1604, Guy Fawkes was committed to the cause. His commitment continued to the end. 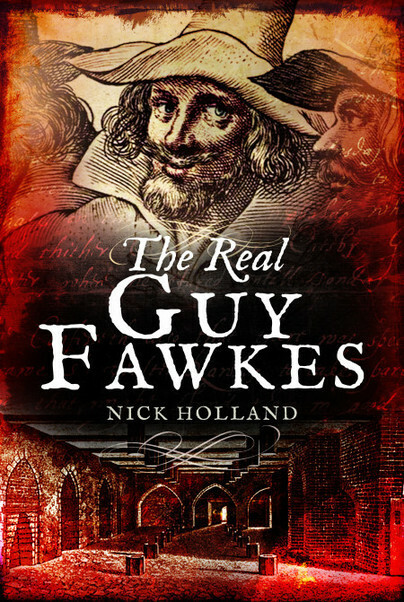 Tom Holland necessarily simplifies the historical and political context but tells the story of Guy Fawkes from Yorkshire lawyers son to a most infamous man, overshadowing the other conspirators and making life so much worse for Catholics in Britain for centuries to come, in an accessible and confident manner. He holds to the main narrative, occasionally diverting for a chapter to tell the stories of other members of the conspiracy, emphasising their family connections with each other, political events and the nature of life in England for Catholics at the time. He draws on contemporary documents and current historical thinking to draw a picture from the complex web of events. This book is an excellent place to start if you want to understand what happened.